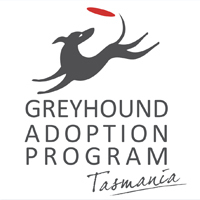 The Greyhound Adoption Program (GAP) is a national initiative that Tasracing supports in Tasmania. 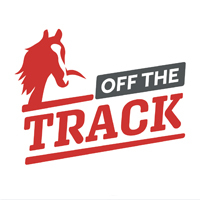 Our goal is to aid in helping these lovable dogs find a permanent pet home after retiring from their racing career, as well as educating the public on what a gentle and affectionate pet these dogs really are. Every dog that enters our program is temperament tested, de-sexed, wormed, de-flead, vaccinated, micro-chipped, teeth cleaned and nail trimmed. They then spend 6-8 weeks with our dedicated volunteer foster carers who help prepare our dogs for life outside the racing kennels and find a forever home. We believe that this amazing breed deserves a second chance and it is our mission to help the public realise that “yes” your greyhound does have to wear a muzzle in Tasmania, but “no” he is not vicious, in fact, he is one of the kindest and gentlest dogs you will ever meet. There are many ways you can assist GAP. Our dogs for adoption are listed on this website. If you are interested in adding a new dog to your family, why not foster a dog if you can’t commit to owning one full time. You could participate in one of the many events we have during the year, these can be found on our events calendar, or most importantly help us to spread the word to all your family and friends and tell them how kind and wonderful a greyhound is for a pet.